Being a father to two children is taxing. So when I’m sitting in the parking lot of my 3-year olds preschool in the late afternoons, waiting to go inside to pick her up, I require a serious energy boost. What do I do? I pull out my headphones, scroll over to Spotify, and hit Daddy Dance Party. It’s a collection of weekly top 10 bangers which get me dialed into the afternoon shift of being a parent. I sit back in my 2005 Honda Accord whip and rock out at the top of my lungs to a hodgepodge of music: rap, rock, EDM, 90’s slow jams, disney classics—you name it. Sure, I get odd looks and whispers from the moms walking by, but hey, a dad gotta do what a dad gotta do, right? 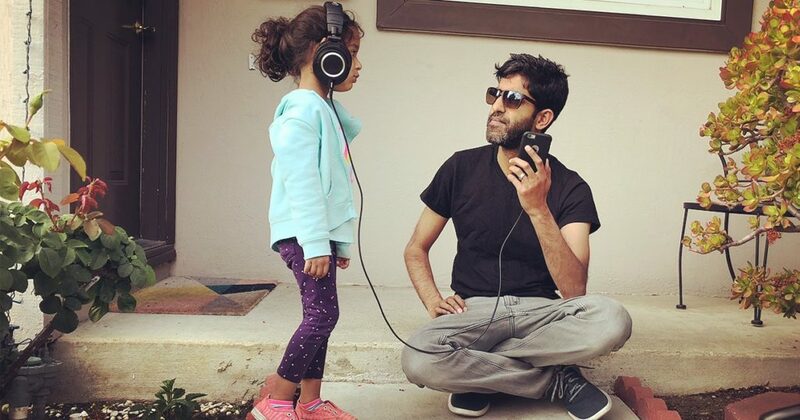 Hit me on the comments below and let me know what songs get you in the parenting zone—I’ll go ahead and add them to next week’s playlist. Maybe we can have a music festival at the end of this year aka Momapalooza? Dadaroo? Okay, here is the playlist. Warning: the playlist is ordered with songs that start off super lit yolo beans with fleek sauce and then softer treats towards the end. Just a warning to your earbuds. Have more dad-bangers? Comment and let us all know. Oh, and be sure to follow the shenanigans on Facebook, Instagram, and Pinterest. You can email me directly to say hello too! Next Post:What if we dropped the kids off at my mother in-laws and ran away to Bali?